The EMD FL9 was one of the more unique locomotive designs ever conceived. It was developed by General Motors' Electro-Motive Division for the New York, New Haven, & Hartford Railroad which had a system comprising both electrified and non-electrified lines (and on in which relied heavily on commuters between New York and Boston for revenues). As such, the New Haven wanted a locomotive which could operate over both lines without the need to switch out power, thus saving time and making train operations more efficient. While a sound theory and a reliable locomotive, the FL9 did not prove to be an entirely successful alternative for the electrics it replaced. Today, the FL9's reliability carries on as not only are many preserved but a few continue to operate on the Metro-North Railroad. Additionally, several of the locomotives are already preserved at various museums and historical organizations in New England. 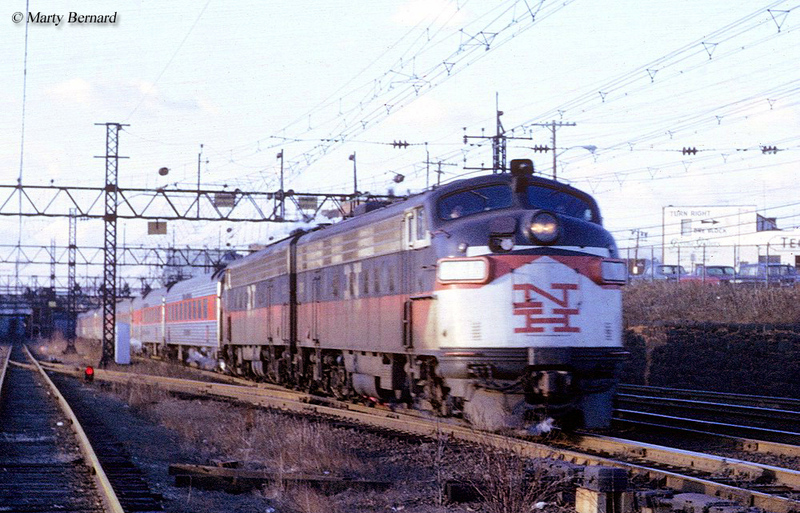 The EMD FL9 began production in October, 1956 and was ordered upon the request of New Haven's new head of operations at the time led by Frederic Dumaine and Patrick McGinnis. Their belief with this dual-power locomotive was to eventually eliminate all electrified operations on the railroad, which consisted of the southern half of the system between New Haven and New York City. The FL9 was based from the FP9, which itself was a variant of the F9 only intended for use in passenger service like the FP7. Longer than the F9, the FP9 was 54 feet in length to house a steam generator. However, the FL9 required a length of 59 feet for its unique rear truck and electric equipment (and not to mention also housing a steam generator). thus its similar dimensions and designation; However, the FL9 required a length of 59 feet for the added truck length and electric equipment. The FL9 would prove to be EMD's longest F unit it ever developed. 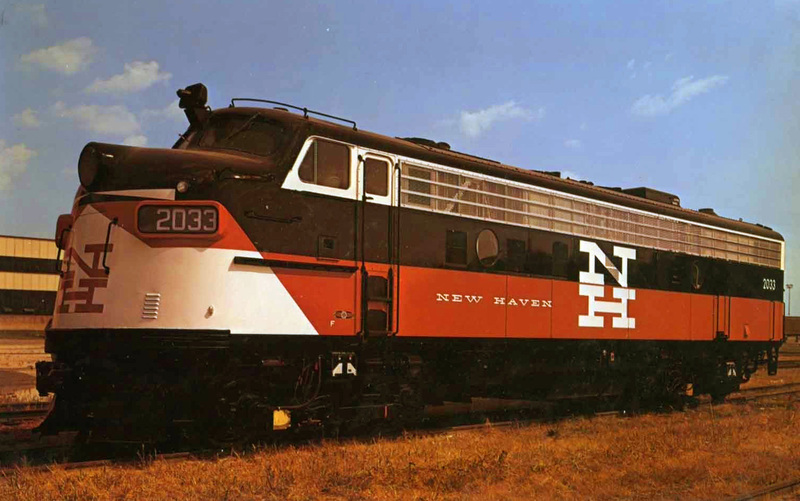 The New Haven's first order of 30 FL9s featured GM's 16-cylinder model 567C prime mover (its final order of 30 more units featured the model 567D1), which could produce 1,750 horsepower (the later prime mover allowed it an 1,800 horsepower rating). As such, the back end of the locomotive was quite heavy requiring a three-axle, A1A truck (a three-axle truck whereby the center axle was unpowered) to accommodate the load. Because of this the FL9 featured a unique B-A1A truck setup. To gain power in electrified territory the FL9 had pneumatically powered third-rail shoes that could retract to pickup the platforms which ran along the rails (thus the name, "third rail"). Third-rail operations could only be found around New York City, thus this was the only region in which the FL9s operated electrically (a few early models also carried small pantographs, which were a short-lived concept). The New Haven would number their FL9s in the 2000–2059 series. Despite the fact that the locomotive featured an extra axle, it would not have been particularly useful in mountainous territory. Its A1A rear truck did not include a powered center axle. As such, its tractive effort rating was only 53,200 pounds starting and 29,500 pounds continuous. This was far below the 40,000 pounds of starting effort offered with the FP9. For the New Haven, however, this was not an issue considering the territory in which the FL9s operated as water level, along the coast. 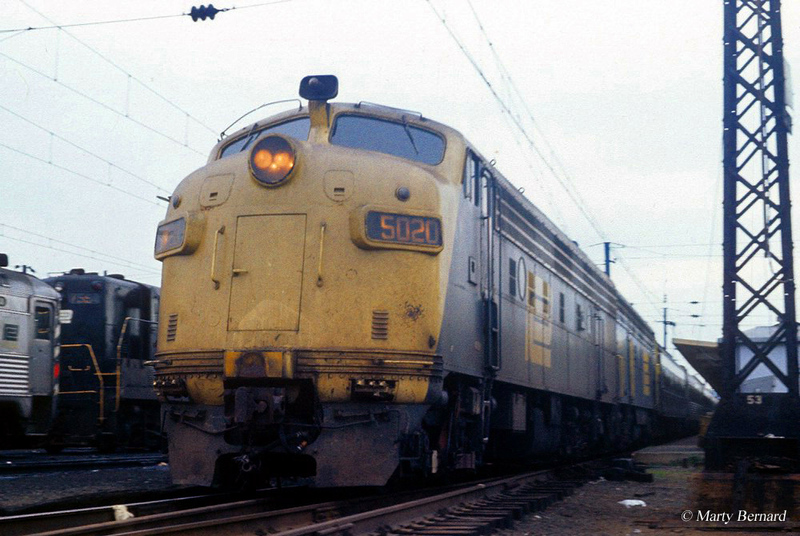 While the EMD FL9 proved to be a successful locomotive that was reliable it was not nearly as powerful as the electrics it replaced such as New Haven's EP-1, EP-2, EP-3, and EP-4 boxcabs. Some of these locomotives, like the EP-3 and EP-4s had only been built in the late 1930s and early 1940s, making them less than twenty years old before they were retired. The idea behind Dumaine's and McGinnis' “pencil pusher” leadership was that they slashed costs wherever possible (taking this to extremes whereby it hurt the company more than it helped), cutting down the work force (laying off even the most veteran workers), and began deferring maintenance to save costs. While a short term success, the long term effects resulted in the New Haven going bankrupt. The intent of the EMD FL9 was to eventually end the NYNH&H's electrified operations altogether, although this never happened. While unsuccessful for the New Haven, the EMD FL9 was a reliable and low maintenance locomotive, which remained in commuter service until the early 2000s. 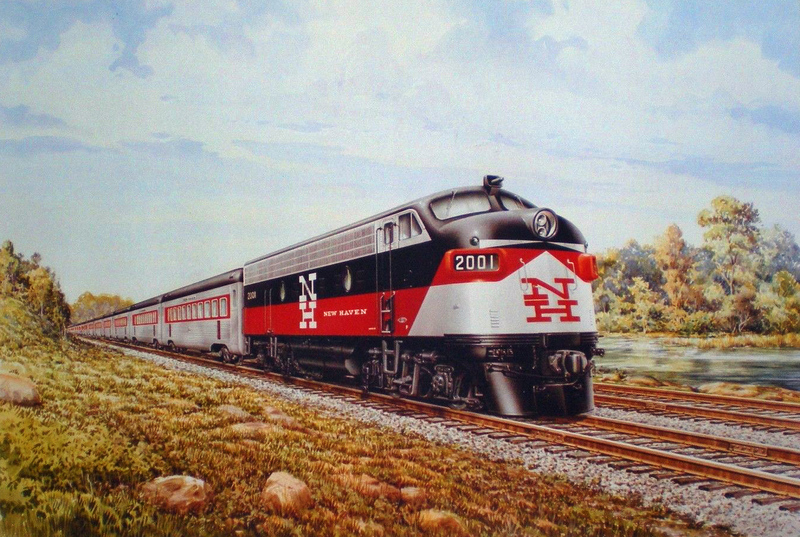 Not only does Metro-North continue to employ a few even today, mostly on work detail, a number are used in excursion train service, such as on the Main Eastern Railroad. FL9s that are currently preserved include #2023 at the Connecticut Eastern Railroad Museum, #2026 and #2040 at the Danbury Railway Museum, #2054 at the Westchester Medical Center (on display), and #2005, #2049 with the Naugatuck Railroad. Also, for information about EMD's F series please refer to the chart above.